Made of quality galvanized standard steel, durable and ulinity. Foldable and mini size, easy to carry. 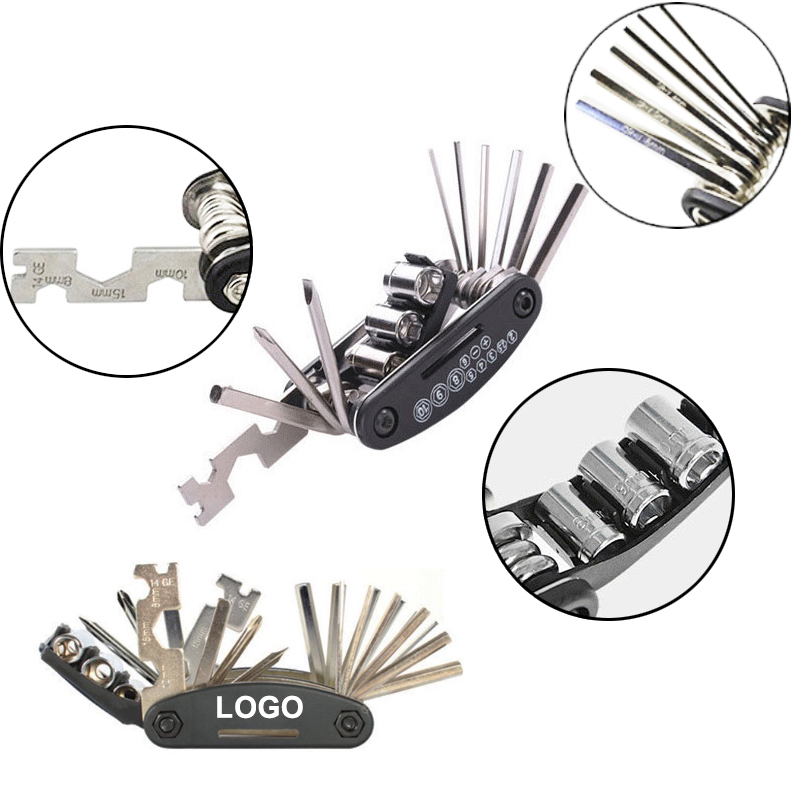 Functional, contains 1 Flat-blade screwdriver, 1 Phillips Screwdriver, 1 Socket Extension Rod, 3 Socket Hex Wrench 8/9/10 mm, 4 Nut Tools 8/10/15 mm and 6 Hex (Allen) Key 2/2.2/3/4/5/6 mm, a perfect combine tools for bike repairing and maintenance. Order it today! and Don't forget to add your brand for promotioanl purpose. Additional information: The price of 3,000 pcs and above is base on shipping by sea. Package: 1 pc/opp bag, 100 pcs/ctn, 48 lbs/ctn.